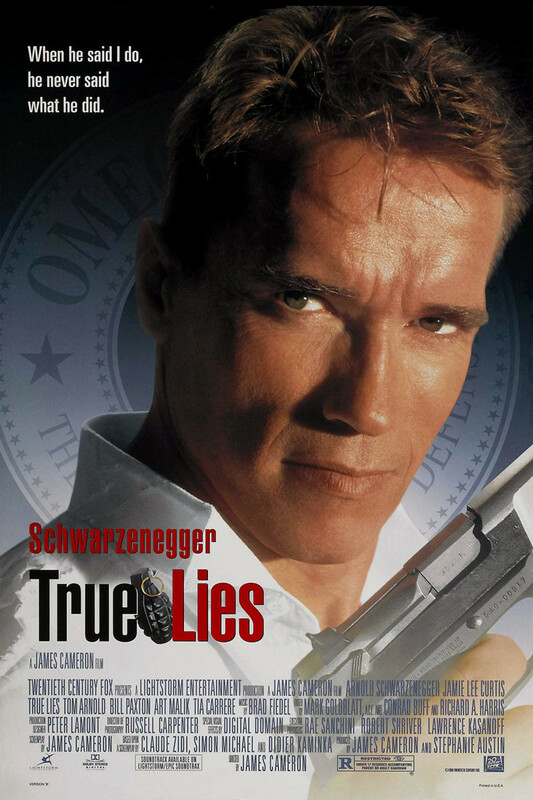 Arnold Schwarzenegger is Harry Tasker, a government agent keeping his true job a secret from his family. In their eyes he is a mild mannered computer salesman. When he suspects his wife (played by Jamie Lee Curtis) of having an affair and uses his government connections to catch her in the act, his cover is blown after terrorists kidnap them both. As Harry utilizes his skills to thwart the terrorists and make their escape, the real nature of his life is revealed to his wife.